Healing with Akashic Inte. . . Taking Your Life from the Ordinary To The Extraordinary! Akashic Intelligence is the Consciousness of your existence since the time of the inception of your Soul that you are not yet aware of. Learn one of the best tool ls to heal your life! Become a Practitioner For Akashic Records Readings. Join us for this fascinating Journey To Discover Your Soul's Journey Through The Akashic Records. Accelerate Awakening, Awareness, and Aliveness on Your Soul's Journey. Empower and Enhance your Well-Being by facilitating soul-level transformation in self and others through Akashic Records Basic Practitioner Program. Discover Your Akashic Records for Personal and Professional Development. Don't miss this chance to train with the leader in the field of Akashic Records for growth & transformation. If you know in your heart that you are here to shift your life experience from Ordinary to Extraordinary and to make an effective, powerful difference in the lives of others and the world, consider this invitation. The infinite light shines through you in a unique and brilliant fashion. You have both the privilege and responsibility to become your optimal vibrant self. This is your time to become more radiant than ever! 1. Use the records as stand-alone spiritual resources for personal empowerment and consciousness development. 2. Access the Records to complement to your already existing practices. 3. Have a deep desire to heal self and others. 1. Know why you are facing the same situations, problems, people. 2. What is my Soul’s purpose? 3. Why am I always ill? 5. Am I on the right path? 6. Am I in the right location? 7. Am I in the right relationship? 8. What is my purpose on Earth at this time? 9. Why can’t I heal? Why have I attracted a particular disease or a disorder? 10. What is wrong with me? 11. What emotional scars am I carrying around? 12. What karmic debts do I need to pay? 15. Know your Life/Soul Journey. 16. Awakening Of Your Soul. 17. Complete Your Past Karma Journey of Your Soul. 18. Take your Soul on Golden Path To abundance and spiritual development. Take a moment, consult your inner wisdom, honor your Truth and take empowering action to heal your life! Karishma is an MBA Grad, with over a decade of corporate experience. After designing countless training programs for corporates, she now conducts various courses that can help people re-write their life script. Karishma is also a certified Clinical Hypnotherapist ( California Hypnosis Institute, USA) and is well versed with concepts of Cognitive Behavioural Therapy, Past Life Therapy, Age Regression, Inner Child Healing, Birth Matrix Reimprinting, Energy Medicine, Theta Healing, Serenity Surrender, Chakra Balancing, Reiki, NLP, etc. 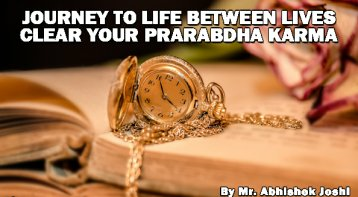 Her zest to understand more on Life Script has led her to explore deeper concepts of Life Between Lives and study Soul Contracts. Her passion to help people heal themselves made her develop a series of workshops that have the power to transform and empower them to live the life they truly deserve. Evolution, Advanced Evolution Cycle, etc. facet of human experience. 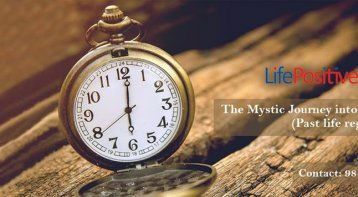 The curriculum of each workshop is optimized for profound personal growth that has a potential to shift the limiting beliefs and embryonic perception of Self, to imbibe the unlimited potential of the Soul. By combining the eureka of Mind - Body - Spirit trinity, massive spiritual awakening and growth can be experienced. Each module is designed to harmonize physical, emotional, mental, and spiritual body and to bring the Soul in alignment with its higher purpose. 9. 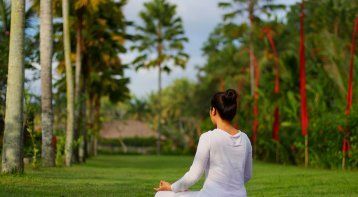 Diseases & Disorders – Identifying the root cause of your physical symptoms and healing the physical body by harmonizing mental, emotional and spiritual bodies. the members through their journey called Life. one-to-one coaching to stride over a persisting issue. "Excellent workshop. Awesome tools. I feel 2 days is less to absorb and fully appreciate everything. Of course, you are an awesome trainer as well. Only the reference material needs to be improved and more follow up sessions need to build on the concepts learnt. It was fun learning from you! Great job!" "Overall very good. enjoyed it very much. Very informative and enlightening. " ""A self revealing and crystal clear orientation of the workshop. Karishma is so full of the creators energy. She flows through the tools and techniques of the event. It was a consistently practical session which took me back to the self. Amazing experience."" ""Everything about the workshop seemed to be logical and meaningful. The trainer was absolutely clear about all the concepts and explained even tricky concepts in simple terms. Many many questions were asked by the group and Karishma was able to clear all the doubts. She gave personal attention to each and every person. Could not find any flaw."" "I attended Healing with Akashic Records. I was surprised to realize how our thoughts and core beliefs create our reality. What more surprised me is how these events are registered in our cellular memory and passed from one generation to another. Intrigued to understand more, I also took personal therapy session with her. Aakshic records reveal so much more than i thought I would have ever known about my Soul journey!" "It is amazing how the trainer links up Science and Psychology with Soul and Karma. " "The workshop blew up so many areas I need to work upon, most of which were alien to me and I could never understand where the core issues were hiding. Thank You so much for enlightening us." "The workshop was self-revealing. The concepts were easy and made crystal clear by the Trainer. Karishma is amazing, she is full of creator's energy. Amazing that she is! The workshop was consistently practical, full of hands-on exercises. Loved every bit of it!" 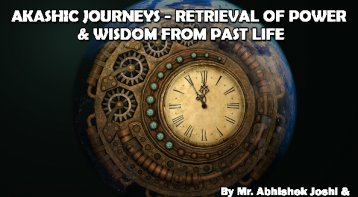 Akashic Journeys- Retrieval of Power and. . . Journey to Life between Lives Clear your. 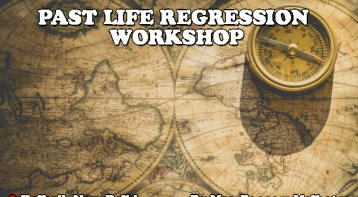 . .
Past Life Regression Workshop - Journeys. 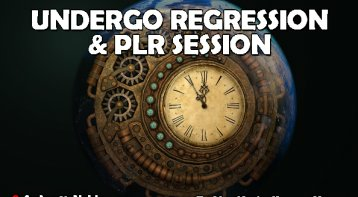 . .
Undergo Regression and PLR Session for c. . .
Past Life Regression Workshop: Let your . 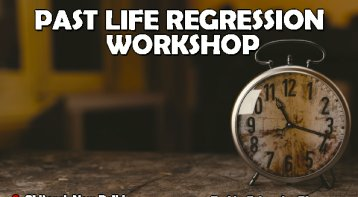 . .
Past Life Regression Workshop: Mystic Jo. . . Please call our expert, Ms. Anamika Goyal, on 9717773206. Please note that our experts accept calls between 10 a.m and 7 p.m only.